I am going to start this review by saying that I am 100% biased towards any James Bond movie. I typically look forward to a number of movies throughout the year, but every few years I get to REALLY look forward to a movie like the new James Bond film. My wife usually gets annoyed with me around this time because she doesn’t care for the films, much less me walking around singing Carly Simon’s “Nobody Does it Better” and frequently requesting we watch a Bond movie. Needless to say, my excitement for this film was at its peak and I tend to see these movies with a different “critical hat” than I do others. That being said, Spectre, is a Bond film clearly for the fans. It beautifully mixes the modern Bond with the classic. This is Daniel Craig finally being able to have some fun with the character, and there are quite a few laugh-out-loud moments. This film brings the Bond series back to the old days when there was a great, sophisticated villain with a hulking henchman and a hidden base in which our hero looks to infiltrate. This feels like the James Bond movie we were supposed to get after Casino Royale…then after Quantum of Solace…then finally after Skyfall. Each of those films ended with such a “alright, now he’s the Bond we’ve come to know and love!” While no ending did it quite as well as Skyfall did, giving the ultimate fan chills for what’s to come. With everything in place now – M, Moneypenny, and Q – these films were all set to be the fun, escapist spy flicks they started out as. Don’t get me wrong, the Craig films thus far have been terrific. We needed the films like Royale and Skyfall to fall back in love with the films again after Die Another Day. I am going into that much detail because I have seen such a negative reaction to this film mainly due to “Bond going back to formula.” But honestly, I think this is what the series needed now. I remember first watching the teaser for Spectre and being underwhelmed because it felt like it was going to be so serious again and not much fun. The other films had hints of this, mainly thanks to Daniel Craig and Javier Bardem’s perfect performances, but just did not give off that Bond film vibe. Sorry for the small rant, back to the movie. This movie is a lot of fun. Opening with an absolutely stunning tracking shot through a Day of the Dead celebration in Mexico City and ending with a series of helicopter stunts that I doubt will ever be topped, the movie honestly does not take much time to slow down for quite awhile. After receiving a post-mortem message from Judi Dench’s M, Bond is on a hunt that takes him from Mexico to Rome to Austria and North Africa. This is the globe-trotting we enjoy the Bond films for, and this time is stunningly photographed by Hoyte Van Hoytema (who also worked on Interstellar last year). Every frame of this film is absolutely gorgeous and is on par with what Roger Deakins did with Skyfall. I don’t want to give too much away about this film because I firmly believe that it’s more fun being surprised. However, I will say that Christoph Waltz is fantastic and menacing in the way that only he can do. Although, he is a bit overshadowed by Hinx, played by David Bautista. 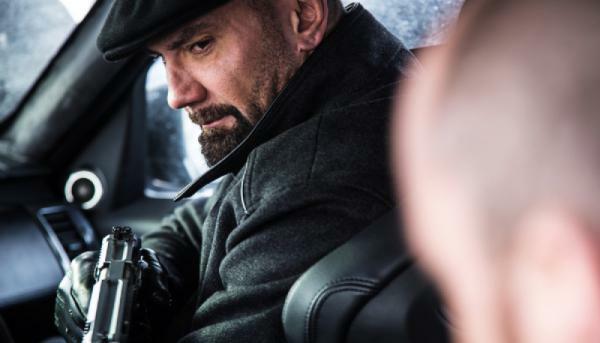 With arguably the greatest henchman/villain entrance of any Bond film (right there with Silva’s in Skyfall), Hinx is an unstoppable force and Bautista looks like he is having a ball. Without speaking barely a line in the film, he gives the character a lot of personality. It always seems like Hinx knows something you don’t and is just having a ball toying with you. The pairing of Waltz & Bautista is great because they are such complete opposites. Waltz is threatening using his words without lifting a finger, and Bautista being so frightening without having to speak a word. As for the Bond girls in the film, Monica Bellucci is effective, but can be scaled down to basically a cameo. Léa Seydoux is excellent here and does the most with what she has to work with. She is the best female character in the series since Vesper in Casino Royale. As for the downside of this movie, I can’t say there are many in my eyes. Other than the absolutely horrendous opening titles song by Sam Smith (never thought I would prefer Madonna’s Die Another Day), the only thing the film could use is a minor trim in its final half hour. There is also a subplot involving those back home working for MI6 that feels like it shouldn’t have taken up as much screen time as it did. But when you hire actors like Ralph Fiennes and Andrew Scott, you feel like you have to give them more to do, and both are great here. I would have liked just a tad bit more focus on Craig vs. Waltz (who doesn’t get his proper introduction until the last 45 minutes of the film), this would have made the film a bit less busy. 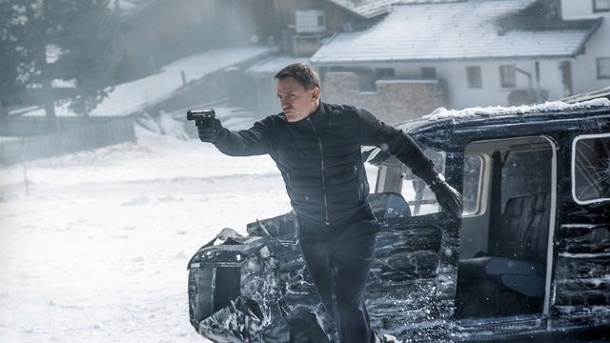 Spectre is a fun entry in the series and wouldn’t be a bad one for Daniel Craig to go out on if he wished. He’s been fantastic as Bond and is one of it’s strongest elements. If he decides to leave, he will be dearly missed, especially taking in consideration everything he does for the series as a producer. The action here is absolutely spectacular, without a hint of CGI anywhere on screen. There wasn’t a weak set piece among the bunch. I am excited to see the film again soon (it will be interesting to see how some of the sequences hold up after seeing it on the proper IMAX screen here in Seattle), and see where it takes it’s place among the other films as I continue to count them down here on the site. Really good review, I had a great time with this movie. You should check out my review.